Don’t You Wish Everyone Saw Things From Your Point of View? Imagine being 3 years old and standing just 40 inches high. Things look, sound and seem a lot different from that perspective and we as adults don't spend a lot of time walking around on our knees trying to relate to their unique slant on life! Introducing Pinatta... she stands just 40 inches tall and she sees things from a child's point of view. Come join her inside the big oak tree as she uses music and her wonderful invention called Boggle-Goggles to make it possible for children to see the dentist as it really is and for adults to better understand their unique point of view. You WONT see any giant purple toothbrushes or dancing pieces of floss. You wont even hear a single nursery rhyme. You WILL meet her wacky talk show band, sing along to their lively ORIGINAL songs, meet some special guests and get some simple pointers about practicing a dentist trip at home. Then with Pinatta as your guide, and filmed from the point of view of 4 year old Emily, youll take a real trip to the dentist and hygienist and become familiar with the sights and sounds of a dentist office. We're glad you joined us for this adventure. This video is the first in a series of childrens educational-entertainment videos which focuses on preparing preschool children and their caregivers for those first experiences - like first haircut, first day at school, first airplane trip, etc. Encourage discussion between parents and kids - to help develop trust building and self confidence. Encourage practicing as a way to develop familiarity with new situations - show a child the experience the way he/she might actually see it - from a childs 40" high perspective with real sights and sounds. Transport children to the real dentists office through the use of puppets, music and first person point of view. The child is led through an actual cleaning and exam and introduced to real dental equipment. Pinattas View was produced in Boston, MA and Orlando, FL by Martha Seely. The concept and script for Pinattas View was developed by Claudia Miller-Snyder, who also wrote the script. She and her husband, Steven Snyder, wrote and arranged the music and lyrics. What sets Pinattas View apart is its unique way of introducing a child to the very realistic sights and sounds of an experience from a seldom seen perspective, their own. This is accomplished through the use of an invention called Boggle-Goggles that are worn both by the child in the show and the audience watching at home. They allow the at-home audience to see exactly what the on-air child is seeing. To create products that empower young children with the confidence and ability to successfully cope with challenging events in their lives. Boggle-Goggle Enterprises, LLC is an independent production company dedicated to the creation of quality products rooted in learning-based, educational entertainment for children and their caregivers. Boggle-Goggle was officially incorporated in August of 1999 in Boston, MA. Ms. Miller-Snyder developed the concept and wrote the script for this first project based on her own observations and experiences with children, and as a mom. She (with her husband Steven) composed and arranged all the music for the current production of A Trip to the Dentist through Pinattas View. She is also a professional actress and singer and has worked in the entertainment industry for the last 18+ years. She is a graduate of Towson State University. Ms. Seely was the producer of Boggle-Goggles first video project and is currently moving the project into the marketplace. Her 20 +year career in communications and entertainment encompasses both creative and business with additional experience in advertising and public relations. She is a graduate of Connecticut College, and received her MFA from Carnegie Mellon University. 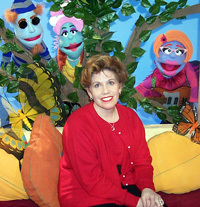 Ms. Miller was the executive producer of Boggle-Goggle's first video project and has recently been appointed Vice-President of Business Development. Her role is to oversee Boggle-Goggle's overall business development strategy, as well as to position the company for future growth. Ms. Miller brings more than 20 years of entrepreneurial expertise and business success to Boggle-Goggle's executive team. Her most recent venture was DOME imaging systems which she co-founded and served as Vice-President of Sales and Marketing. DOME was recently purchased by public company, Planar Systems. She is a graduate of the University of Richmond. To kids and grownups using our web site, here are the rules. If you are a kid and dont understand these rules, find a grownup to help. If you are a grownup and dont understand the rules, find a kid to help. Please read these rules carefully before using the site. By using this site you agree to these rules. If you dont, then please dont use the site. Please be aware that Pinatta.com and Boggle-Goggle Enterprises may change the rules at any time, so check them in the future to see if any changes have been made. This site is owned and operated by Boggle-Goggle Enterprises, LLC (referred to as "we", "us" or "our" herein). Nothing included in this site may be copied, reproduced, republished, posted, uploaded, transmitted or distributed in any way - except that you may download a copy of some of our materials on any single computer for your personal, non-commercial home use only provided you keep intact all copyright and other proprietary notices. (This means that you are not supposed to download anything from our site and sell it.) If you use our site in any other ways, you are breaking the rules, which is a violation of BGEs copyright and other proprietary rights. Also, you may not use anything from our site on any other web site or networked computer environment. All Trade Marks, Service Marks and trade names are proprietary to Boggle- Goggle Enterprises. While you are visiting us at Pinatta.com, we want you to feel comfortable sending us mail, ordering our products and participating in any of our activities. While we encourage the interactive nature of the web, we strive to educate parents and kids about how to adequately safeguard their online privacy, and we take this very seriously. We believe that the following promises will improve the safety, value and enjoyment of your (and your childs) visits to our site. We will not collect personally identifiable information from your child without your consent. We will collect your permission in advance, off-line (by postal mail, fax or phone) before we mail any prizes or share your childs personal information with anyone else. If your child submits stories, artwork, comments or anything else to us which is posted at our site, he or she will be identified only by first name, age and state. No information collected from children will be used for any marketing or promotional purposes whatsoever, unless explicitly stated during the promotion, and in that case, the information collected is used for that specific promotion only. There are cases where Pinatta.com may ask you for personal information such as your name, e-mail address, address and birth date. For example, we request personal information when you register for an on-line account, for on-line shopping or transactions or for services that require registration (future). Pinatta.com needs to collect this information for fulfilling prizes, shipping product, tracking/verifying compliance with Federal, State and local laws, and for editorial and feedback solicitation purposes. In case you change your mind or some personal information changes (for example your zip code) we will endeavor to provide a way to correct, update or remove the personal data you give us. You can do this by contacting customer support. The contents of Pinatta.com are designed for grownups and children. In addition to our own content, we provide links to sites with other kids activities plus parenting and health sites that are outside our service, and outside of our control. We do screen the other sites initially but cannot be responsible for the content of other sites. If you come across something inappropriate due to our links, please let us know and we will remove it. In addition, please bear in mind that when you give out personal information on line, that information can be collected and used by people that you dont know. We endeavor to protect our users personal information but cannot guarantee the security of any information you disclose online and you do so at your own risk. We employ great care in providing secure transmission of your information from your PC to our server. Unfortunately, no data transfer over the Internet can be guaranteed 100% secure. As a result, while we make every effort to protect your personal information, we cant ensure the security of any information that you transmit to us, and you do so at your own risk. Once we receive your transmission, we make our best effort to ensure its security on our systems. When credit card information is transmitted, we use industry standard SSL (secure socket layer) encryption. By using this site, you signify that you assent to our online policy. If you do not agree to this policy, please do not use our site.